There are certain types of foods that we tend to eat because they are delicious. In fact, we tend to eat them frequently and in some cases, we may even eat them too frequently when they are not healthy food choices. The problem is that most people tend to look at healthy food choices as being either bland or devoid of flavor but that is not always the case. In fact, there are certain foods that are yummy enough to eat every day, even though they are quite good for us. One of those foods is the date. It is sweet, tasty and can easily be incorporated into many different types of menus. What you may not realize about dates, however, is the fact that they are not only good for you; they provide very specific health benefits that are well worth considering. Once you learn about those benefits, you will want to keep some on hand and eat them every day. It’s like giving yourself permission to do something you love! 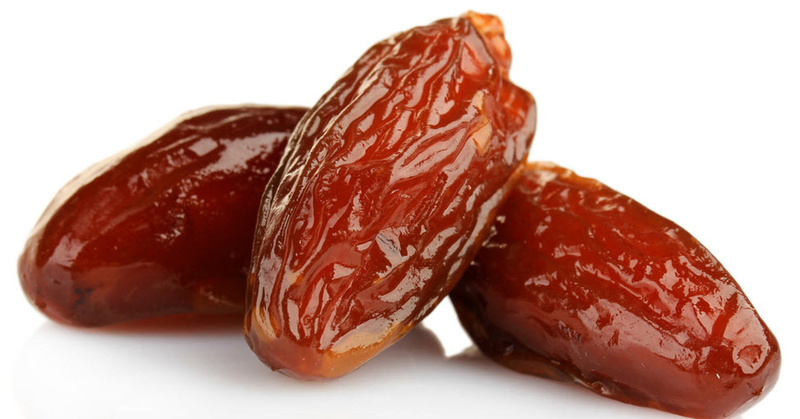 Most of us get our dates from the store but they aren’t a prepackaged, processed treat. Like all fruits that are whole foods, they are plant-based and grow naturally in the wild. The date palm is a flowering palm tree that is prized for this edible fruit. It may grow up to 75 ft high and typically yield up to 200 pounds or more of fruit each year. This palm can grow in any tropical region but the top date producers in the world include Egypt, Iran and Saudia Arabia. The date has been prized for its taste and medicinal qualities for millennia and those benefits are still sought after down to this day. 1. Improved Artery Health – One of the problems that are common among people is a narrowing of the arteries, something that is commonly associated with high cholesterol. As the plaque builds up on the inside of the arteries, the heart must work harder to get blood to all areas of the body. When the arteries are significantly compromised, it could lead to a heart attack or stroke. When you eat 3 dates per day, you are getting a lot of potassium in a sweet package. Potassium is something that many of us are lacking, and by supplementing with this natural source of potassium, you can naturally lower your cholesterol. 2. They Are Good for the Liver – The liver is a very important organ in the human body and it is one that is also riddled with problems. It cleans the blood and detoxifies the body so the liver is subject to a wide range of chemicals on a day-by-day basis. If you are suffering from a disease that affects the liver, dates can help to ease the load and give your liver a fighting chance. 3. Good for Eye Health – Our eyes are something that we all treasure. In fact, they are one of our senses that we tend to check on a regular basis and if some type of correction is needed, we take care of it right away. Dates are high in vitamin A, so they help to keep the corneas healthy. Take good care of your eyes by eating some sweet dates daily. 4. Energy – The natural sugars in dates make them perfect for providing some extra energy. If you want a boost of protein along with the sugar, cut one open and slip a Brazil nut inside of it. It will give you that extra crunch and some good nutrition as well. Don’t mistake the natural sugars of dates with the refined sugar that is not good for you. The natural sugars in dates enter the bloodstream more slowly so they provide extended energy rather than a quick boost and a crash. 5. Good for the Digestion – One of the things that is missing in many diets is fiber. Although it doesn’t have any nutritional value, it does have value when it comes to our digestion. It is a bulking agent that can really get things moving, to put it bluntly. Both constipation and indigestion are issues that can be benefited by adding fiber to the diet. When you eat dates, you are getting fiber in a delicious package. 6. Inflammation – Dates have a lot of natural magnesium so it can help to reduce inflammation throughout the body. If you suffer from swelling and pain, it is something you should be eating daily. In addition, the magnesium may help to ward off infections as well. These are just a few of the many benefits available when you include dates in your diet. Be sure to include some on your plate every day and you can enjoy these health benefits and more.